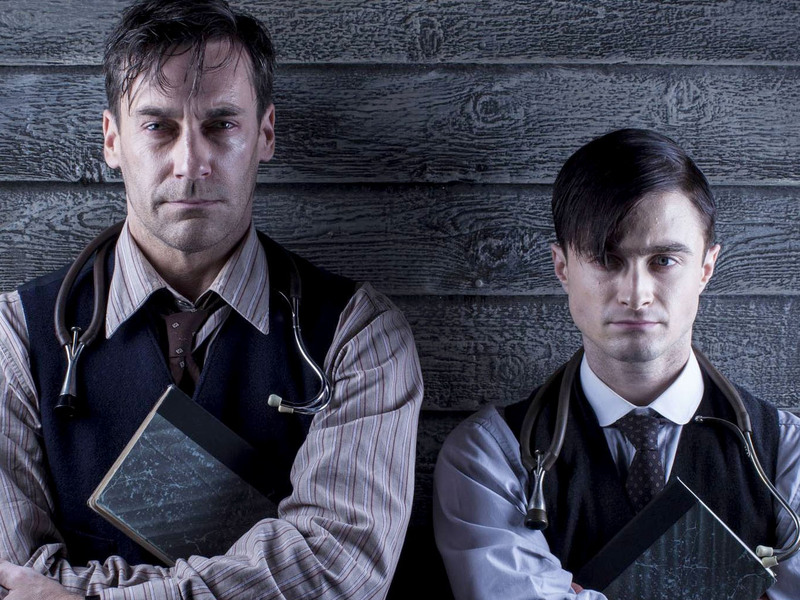 A Young Doctor’s Notebook is a unique four-part comedy drama starring Jonn Hamm and Daniel Radcliffe. The drama is based on a collection of short stories by the celebrated Russian writer and playwright Mikhail Bulgakov, recounting his experiences as a young doctor working in Russia at the dawn of the Russian Revolution in 1917. In the four-part series, Hamm takes on the role of the older doctor, who has a series of bleakly comic exchanges with his younger self, played by Radcliffe. The series is produced by Big Talk Productions in association with Jon Hamm and Jennifer Westfeldt’s Point West Pictures, and has been adapted by Shaun Pye, Mark Chappell and Alan Connor.